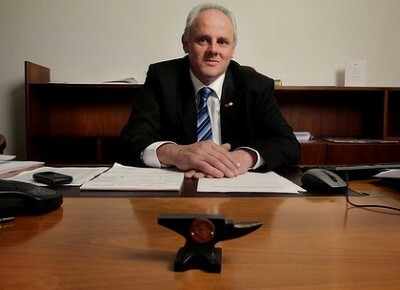 STT recently covered a motion proposed by cross-bench Senators Leyonhjelm, Madigan, Day, Xenophon; with the support of the Coalition, through their Deputy Government Whip in the Senate, STT Champion, WA Senator, Chris Back to establish a wide-ranging inquiry into the wind industry in Australia (see our post here). It gives us much pleasure to report that the Senate voted to establish the inquiry, as moved by David Leyonhjelm on Monday. (2) That the committee consist of 7 senators, 2 to be nominated by the Leader of the Government in the Senate, 1 to be nominated by the Leader of the Opposition in the Senate, 1 to be nominated by the Leader of the Australian Greens in the Senate, and 3 to be nominated by other parties and independent senators. (4) That 4 members of the committee constitute a quorum of the committee. (5) That the committee may proceed to the dispatch of business notwithstanding that all members have not been duly nominated and appointed and notwithstanding any vacancy. (6) That the committee elect as chair and deputy chair a member nominated by the minority parties and independent senators. (7) That the deputy chair shall act as chair when the chair is absent from a meeting of the committee or the position of chair is temporarily vacant. (9) That, in the event of an equality of voting, the chair, or the deputy chair when acting as chair, has a casting vote. (10) That the committee have power to appoint subcommittees consisting of 3 or more of its members, and to refer to any such subcommittee any of the matters which the committee is empowered to examine. (11) That the committee and any subcommittee have power to send for and examine persons and documents, to move from place to place, to sit in public or in private, notwithstanding any prorogation of the Parliament or dissolution of the House of Representatives, and have leave to report from time to time its proceedings, the evidence taken and such interim recommendations as it may deem fit. (12) That the committee be provided with all necessary staff, facilities and resources and be empowered to appoint persons with specialist knowledge for the purposes of the committee with the approval of the President. (13) That the committee be empowered to print from day to day such documents and evidence as may be ordered by it, and a daily Hansard be published of such proceedings as take place in public. Senator LEYONHJELM: I understand that Senate resources are limited in relation to select committees. We acknowledge that. And I understand that at least one other select committee will need to be wound up in order for this to have the full amount of resources. We accept that that is the case. The worst case is that this will operate on limited resources until March, when the inquiry into the activities of the Queensland government is concluded. Furthermore, if Senator Day is appointed chairman of the committee, he has suggested he may consider relinquishing his fees as chairman to contribute to the committee’s costs. 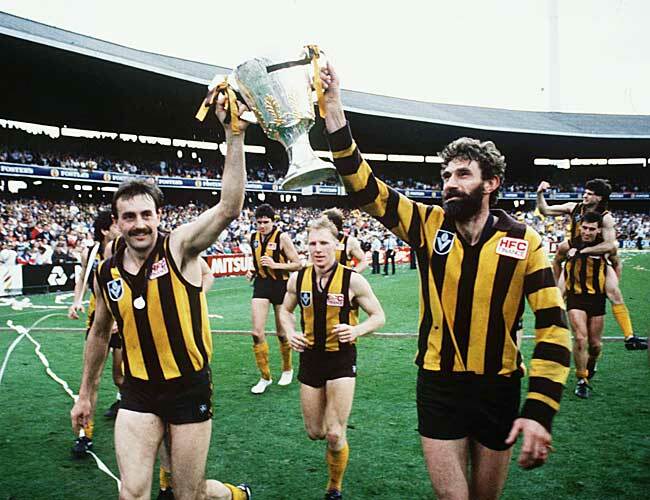 The Mighty Hawks defeat the Cats by a kick in the 1989 Grand Final. Sure, it was a close-run thing, but many a grand final has been won by a single kick. Predictably, the wind industry, its parasites and spruikers have gone into a tailspin – wailing about the dreaded malady of “uncertainty” – of the kind that everyone else gets to face on a daily basis in every aspect of life and business – but from which the wind industry must be protected at all times. But the Senate inquiry is just the beginning of the wind industry’s many woes. A key Senate crossbencher is warning household electricity prices could skyrocket unless a political impasse over the renewable energy target is resolved. Liberal Democrat David Leyonhjelm is in discussion with other crossbenchers about a plan to scale back the RET after talks between the government and Labor failed. He fears for households if parliament can’t reach a compromise. “The record high energy bills that people have been experiencing will seem tame by comparison,” he told AAP. The government wants to slash the target of 41,000 gigawatt hours to around 27,000, claiming that figure will represent 27 per cent of energy use by 2020 instead of bipartisan level of 20 per cent. Labor quit negotiations over a new target which has led to further industry uncertainty. While the Palmer United Party opposes any changes to the RET, Senator Leyonhjelm believes PUP defector Jacqui Lambie may be open to a compromise. “If the hydro industry was given the ability to generate renewable energy certificates, it would give a badly needed economic boost to Tasmania to the tune of around $120 million per year,” he said. Senator Lambie has pledged to vote against all government legislation until a defence force pay deal is reconsidered. However, she could support a private bill initiated by one of her crossbench colleagues. 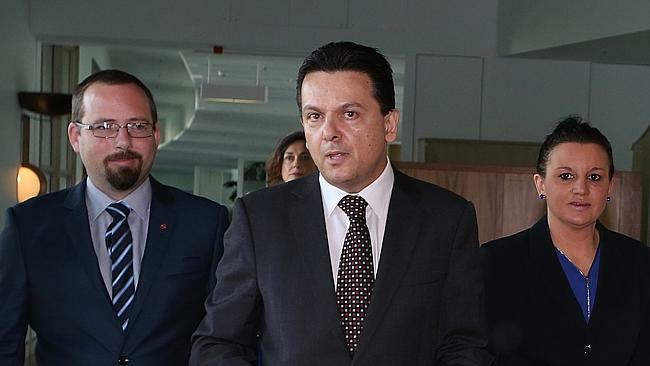 Fellow independents Nick Xenophon and John Madigan both have concerns about wind turbines and have joined forces with other senators to set up an inquiry into the industry. STT hears that the cross-benchers are acutely aware that if radical changes aren’t made to the Large-Scale RET pronto, then Australian power consumers will be walloped with fines (the $65 per MWh “shortfall charge”) for every MWh that retailers fall short of the escalating annual LRET target – a figure that will reach more than $1 billion annually by 2020 and continue at that level until 2031 – simply because the LRET target will never be met (see our posts here and here). STT also hears that the cross-benchers are currently thrashing out a plan that will avoid that politically disastrous prospect (for a copy of the plan click here). One aspect of the plan is to include “old” hydro (hydro generation built prior to 1998 that is excluded from the LRET and which is ineligible to receive RECs) and use that output to help satisfy the shortfall (see our post here). Another is to bring in rooftop solar output generated in excess of the 4,000 GWh annual “expectation” set by the Small Scale Renewable Scheme (SRES): small-scale solar generation is currently between 8,000-9,000 GWh annually and still growing fast. By 2020, rooftop solar is expected to generate more than 14,000 GWh annually, blitzing the original 4,000 GWh annual expectation. The plan being thrashed out now would use all of that “excess” solar generation to satisfy the LRET. Bear in mind that all rooftop solar installed under the SRES gets a fat pile of subsidies by way of “small-scale technology certificates” (STCs), which are paid up front at a guaranteed price of $40. The cost of issuing STCs is paid for by the Federal government to solar installers and recouped from all taxpayers. So it only seems fair that solar does its bit to avoid power consumers being whacked with $billions in fines for failing to meet the LRET: thus avoiding a power and tax bill “double-whammy”. STT hears Jacqui is working very closely with her fellow cross-benchers to ensure that Tasmania’s “old” hydro gets included in the LRET, with RECs going to Tasmanian hydro generators (for a taste of Jacqui’s fury, see her press release here). In that event, Tasmania would satisfy the target in a heartbeat. STT hears that Jacqui’s plan to use “old” hydro – along with the plan to use rooftop solar – to satisfy the LRET is fast gaining traction amongst the cross-bench Senators. Including “old” hydro and solar in excess of the SRES “expectation” in order to satisfy the LRET and avoid $billions in fines under the shortfall charge sounds like a common sense outcome to STT – and just the kind of thing one might expect to come from members of a group now known as the Coalition of Common Sense. STT Champion of Champions, John Madigan. It’s called natural justice Simon Holmes a Court, Hepburn Wind share holders and last but not least David Shapero’s Future Energy for your behaviuor, particularly during VCAT. Now be good sports and hand over, or better still start producing true noise output readings, as recommended by VCAT, for the purposes of the granting a permit. A BIG THANK YOU to John Madigan and his team for still fighting the fight. It keeps me fighting for justice after 8 long years. Congratulations to all who helped make this happen and the courageous senators who believe in pursuing the truth. Democracy in action. Truth will prevail. But Sen. Christine Milne spits a tantrum because she no longer gets her way. A reason that her ‘influence’ is fading might be the evaporating funds available from the wind industry. Shame on the Greens- they are about to be exposed for the amoral and populist urban centric ‘votes for hire’ cartel they have become. These astro-green denialists of the science of adverse acoustic impacts of industrial scale wind turbines on human health are about to be exposed for their lack of decency, their dishonesty, and collusion with industry. They should follow Gaia founder, James Lovelock’s lead (a true Green) and recognise industrial wind turbines for the destructive international scam they are, before the corrosion of their decaying brand is the end of them. The heros of this country are doing the champion thing to have a inquiry into the corrupt fans. I notice that the green leader Milne and Hansen-Young voted against the inquiry. They don’t even care about the birdlife that get killed and maimed by these fans, such is the thinness of their veil of environmentalism. Why? They get big wads of money from Vestas for pushing the fans. We do not need scum bags like them. The time has come to wrap this whole crooked business up! Sticking a small wind turbine on a small remote island and calling it “Daisy” is one thing. Covering the entire planet with gigantic “non human scale” behemoths all for the sake of a profit is quite another! The Australian Greens would do well to look to one Dr. David Bellamy from the UK who has seen this SCAM for the fraud that it is. Yes, remember him? The very fact the Greens will not even talk about planting more trees is a dead giveaway as to how entrenched they have become with the Wind Industry. They don`t talk about getting off the grid. They don`t talk about rare and protected birds and bats being wiped out. They rarely even talk about solar. No, they only have time for promoting the clearing of native vegetation and the digging of massive foundations required for the concrete and steel construction of Large Scale Industrial Wind Turbines! They have become a vocal conduit for the Global Wind Industry. And they, like the many others who support this scam or have “Vested” (Pun intended) interests, are being used. Wake up Christine Milne! You have lost your way. There are hundreds of wind turbines littering the Victorian landscape already. And yet there is still a widespread proposal for Gas Fracking across the State. And I thought that “Big Wind” was meant to spell the end for Gas Fracking. Another PR con job! And yet the Greens are using the cover of the “Lock the Gate” campaign to promote themselves and the Global Wind Industry, to build thousands more “non human scale ” industrial wind turbines across Victoria and indeed the rest of Australia! Do you really think that just because AGL owns the Macarthur Wind Facility “Nightmare”, that they are now going to stop developing their on shore gas interests? I don`t think so. The millions of dollars spent on each 2 Megawatt turbine at the Cape Bridgewater Industrial Wind Facility in Southwest Victoria could have, and again I quote from the movie Windfall, ” …been better spent on getting the community off the grid altogether!” Now that would have been something to truly celebrate! But now this community has been shattered. Many residents are abandoning or have abandoned their homes due to ill health and noise related issues from the operation of the poorly sited Pacific Hydro Wind Facility. All for the sake of the “Australian Green” dream. And on top of this, Cape Bridgewater is now facing the threat of Gas Fracking! Madness, utter MADNESS! The very thing the Wind Turbines were supposed to prevent! You speak of a healthy environment for everyone. REAL people are suffering from the close proximity of inappropriately sited large scale industrial wind turbines. Some of these people are medical professionals who have been driven out of their homes! Doctors, nurses. There are power company employees who complain of having to even work around these facilities. Wind Farm employees themselves have had to quit their jobs or have turned up at Anti Wind meetings to share their concerns, but are too fearful to speak out in case they lose their job. THEY CANNOT ALL BE WRONG!!! 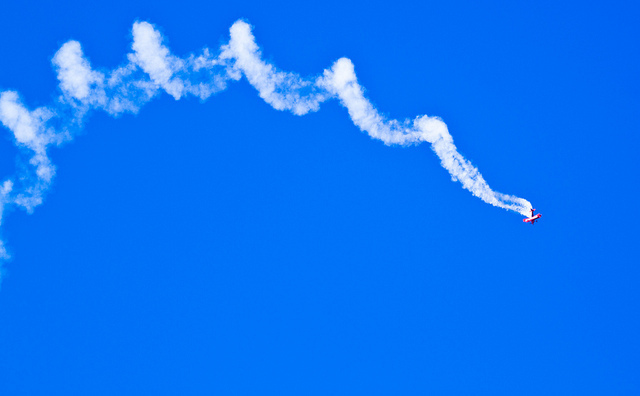 The Greens are not only a ‘vocal conduit’ for the wind industry. They are a bulging g-astro (turf) intestinal tract, full of Big Wind, and Green slime. The look on Milne’s face is because she can’t hold it in any longer. Christine, you will feel better when you let go the truth about Wind. No, your nocebo suppository unfortunately wont help, you simply have to face the independant validated acoustic and medical scientific evidence gathered ‘in the field’ by ethical scientists. What is “Australian”about the wind industry in Australia? This is a truly madly deeply moment for those of us who have worked so hard to understand, despite our opponents liberal use of obfuscation and denigration, and outright lies, that have been the consistent ‘hallmark’ of the wind industry. At the risk of repetition, it is worth noting that at a meeting with the Ceres Project proponents at Curramulka, the major middle-man Terry (Theadore- meaning “a gift from god”) Kallis categorically denied that there “are no subsidies”, when it came to the creation and ongoing wealth creation of industrial “wind farms”. At this point, of a beginning of understanding, we did not know where to look to find how the wind industry was being subsidised. I recall suggesting to our local member of the South Australian House of Assembly (that is our lower house of parliament) that there are 10 Billion dollars AUD to be spent, primarily on wind farms. I take the local member, Steven Griffith’s word as sacrosanct that he could find no lead or verification of said subsidy. Such was our ignorance at the time that it was hard to pin any of the fraudsters down. The parasitical representatives of Infigen (Miles George) formerly Babcock and Brown, who lost their investors a lazy 10 billion, have become so desperate that they now actually admit that without the subsidies (the Renewable Energy Certificates) they will go broke. And, I have to say, Miles, your delivery in explaining your companies difficulties is so nonchalant as to beggar belief.Man, you are so cool. We have recently seen all of the parasites squealing that any reduction to the Renewable Energy Target (RET) will send them broke. Well, isn’t that f$#*ing fantastic! In your 2 and a half minutes to midnight scenario you have decided honesty may be an option. Many thanks from the bottom of my heart to all of those people involved in coming together in the name of common sense to put a end to the lies, deception and dirty tricks by the bullies in Council, the Victorian planning department and the wind farm developers. These are aided by lawyers, some of who are prepared to push people to the edge to gain a very unfair advantage to prevent the resolution of complaints made. Thank you to all the wonderful people who have fought so hard to make this possible. The truth will unpeel like an onion for all Australians to see this dirty, stinking and immoral wind energy industry. This Senate Enquiry is certain to leave its mark on Australian and global consideration of the true nature of the wind turbine industry, ie greed over good. The flow of funds to individuals, political parties and institutions to stymie full disclosure resulting in hurt occasioned on the community, whether in the nature of destruction of health, landholding value, landscape, firefighting capability etc. The enquiry needs to reach into State administration of the relentless pursuit of construction of wind turbines in closely settled areas. And it needs to impose timeframes within which its recommendations must be dealt with. Congratulations to the proposers of this enquiry and to all of the ayes.